The Réseau du sport étudiant du Québec announced that they rejected the appeals from Université de Montreal, Concordia, and Université de Sherbrooke, regarding the cancelled football game between the Carabins and the Stingers at a press conference on Oct. 18, 2017. A 20-member independent appeals committee concluded that the original decision made by the commissioner, Benoix Doloreux, to cancel the game, was reasonable. 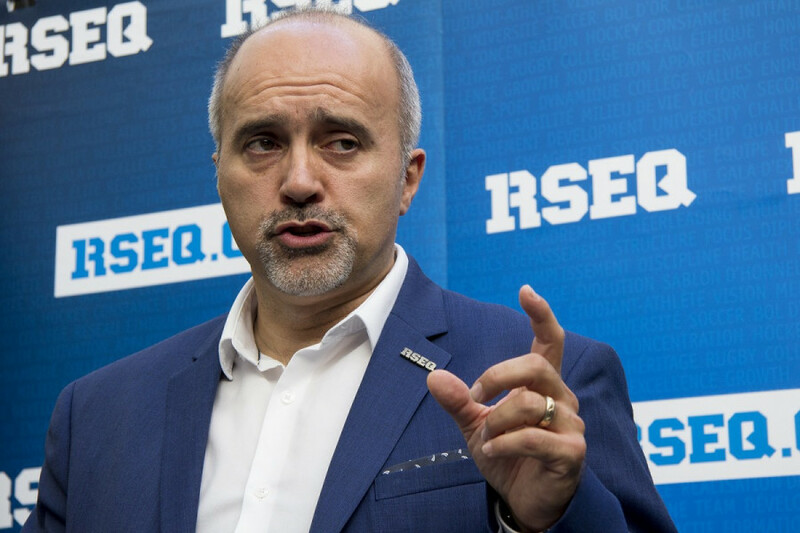 “According to the decision of the appeals committee, there was no doubt that the decision regarding the game on Oct. 5, was not only reasonable, but the only decision the commissioner could make when taking things into consideration, especially on anything related to public health,” said Gustave Roel, the president and general director of the RSEQ. Roel added that an independent committee would typically decide whether or not the circumstances surrounding a game could reasonably merit a cancellation. In this case, they concluded that playing the game would have been dangerous, let alone unreasonable. A representative from all three universities, and the RSEQ were also involved in the conversation. According to Roel, the Université de Sherbrooke representative was unhappy that Concordia refused to play against the Universite de Montreal on the following Monday, and should therefore forfeit the game. Stingers offensive coordinator Matt Connell told The Link in a previous interview that playing on that day was next to impossible as a lot of the Stingers had plans to go home for Thanksgiving. Concordia’s complaints had been that the Carabins had not offered an alternate day aside from the following Monday to play the game, and therefore had demanded that the Carabins forfeit. Université de Montréal was unhappy that Concordia didn’t want to play on the Monday. Roel said that since it was Thanksgiving weekend, the game was canceled rather than rescheduled because Concordia could not play. He added that this decision is final, and that no other appeals can be made. Since two teams, the Carabins and the Stingers, have played one fewer game than the rest of the RSEQ, the regular season standings will still be calculated by a team’s win percentage, rather than their record. In the event of a tie between two teams, their head-to-head record between the teams in question will decide the standings. The game, which was set to be played on Oct. 5, 2017, had been canceled due to players and coaches on the Carabins experiencing symptoms of the flu. The Carabins football team were quarantined for 48 hours, and their facilities were put through a decontamination process. When asked why the Carabins didn’t just forfeit the original match, Roel said that under the circumstances, none of the Carabins players could present themselves because of the the health risk. The Link reached out to the Concordia Stingers and Montreal Carabins for comment, but neither of them responded before press time. The story will be updated with their comments.